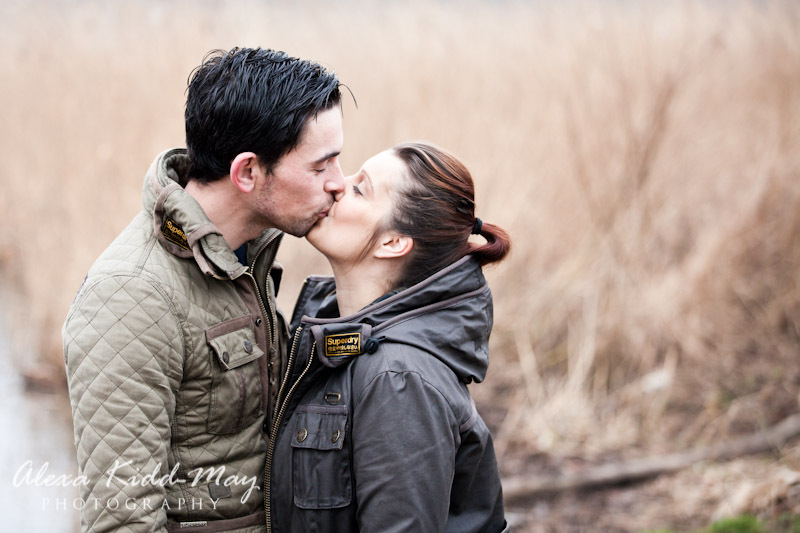 Posted February 27th, 2013 by alexa & filed under Weddings. 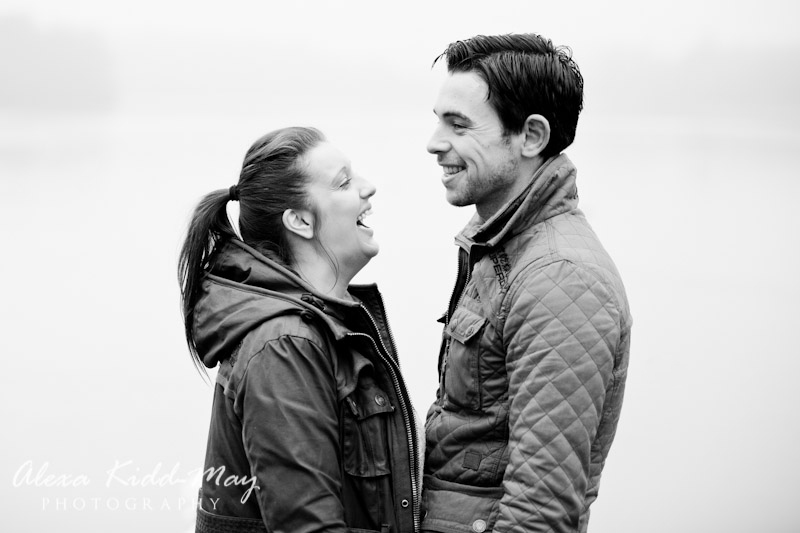 The Talbot, Ripley, is the venue for the wedding of Danielle and Dave in a few weeks time. 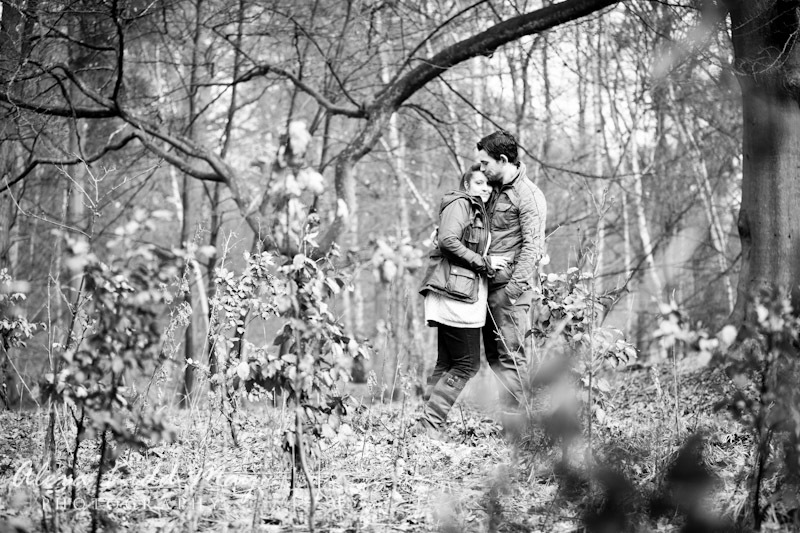 I recently met up with them and their lovely daughter for an engagement photography session at their favourite location in Virginia Water in Surrey. 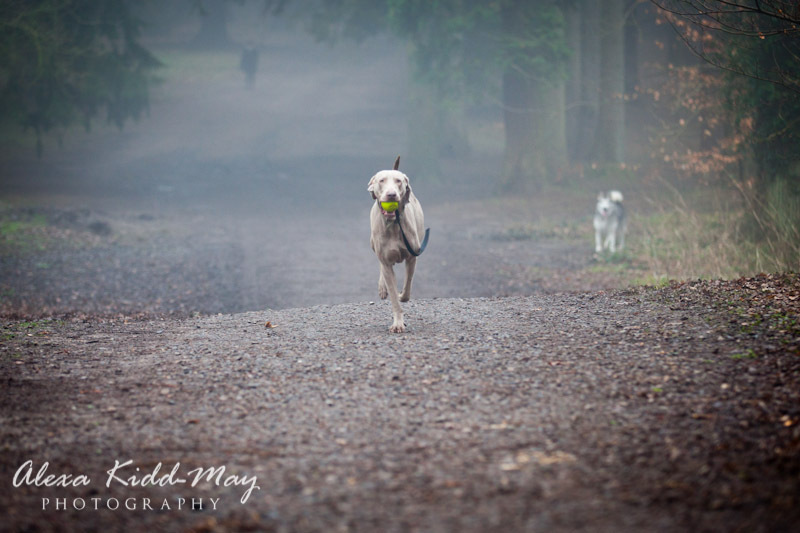 It’s a place they visit quite often to walk their two dogs and it was great to see them enjoying an early morning stroll through the woods. 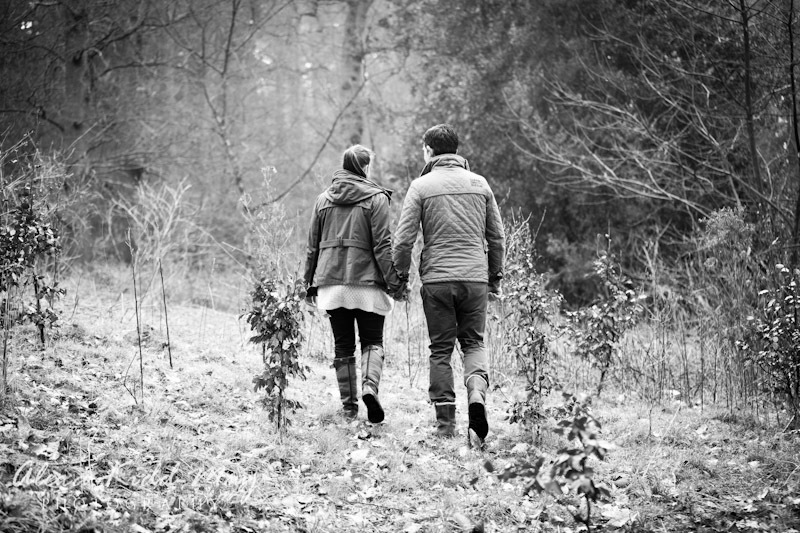 We started bright and early on this wonderfully misty February morning taking photos and chatting about their plans for the wedding day. 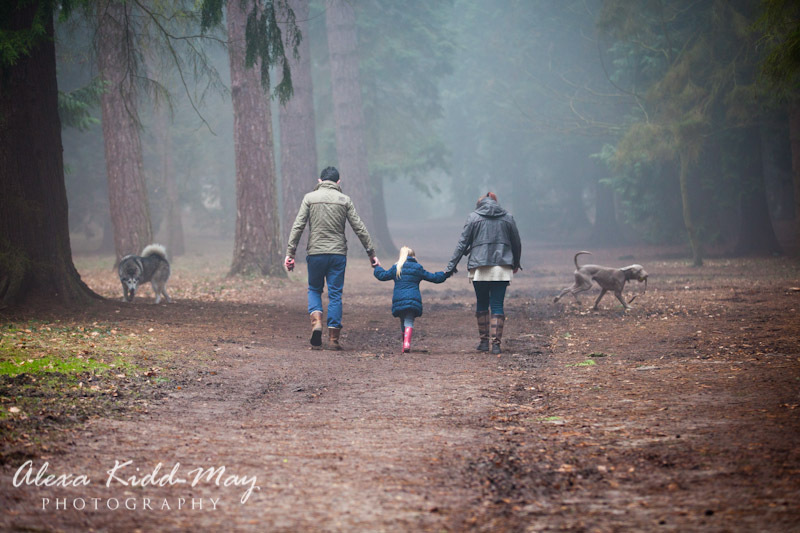 I love photographing in misty weather, it adds so much atmosphere to the photos. 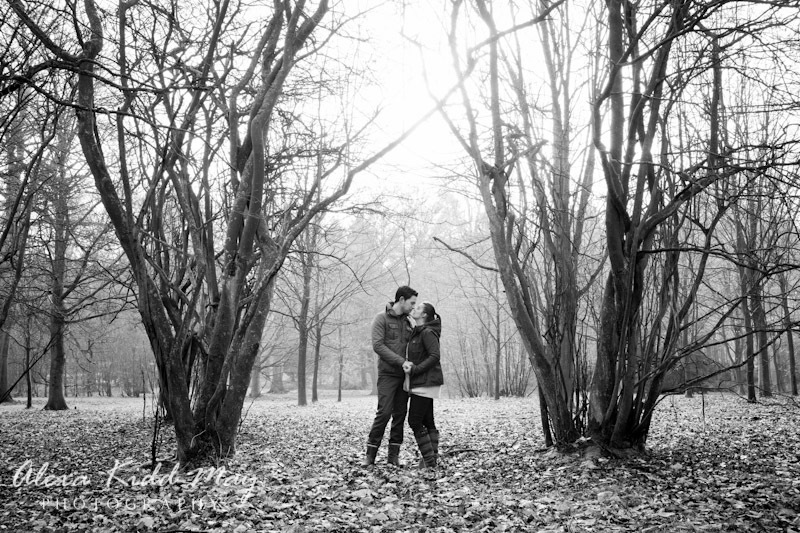 One of my favourite images from the engagement session is the first one. 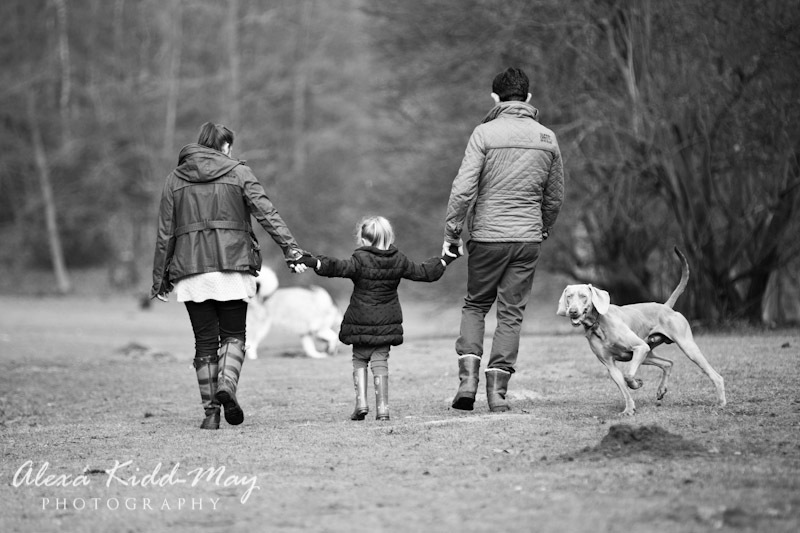 Danielle and Dave are both holding hands with their daughter and the two dogs are roaming around exploring the woods. 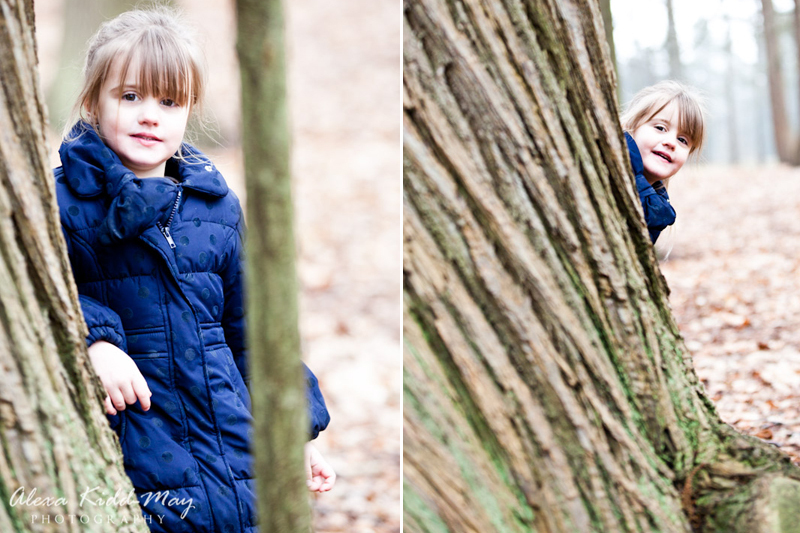 The colours of the evergreen trees in the background is just beautiful. 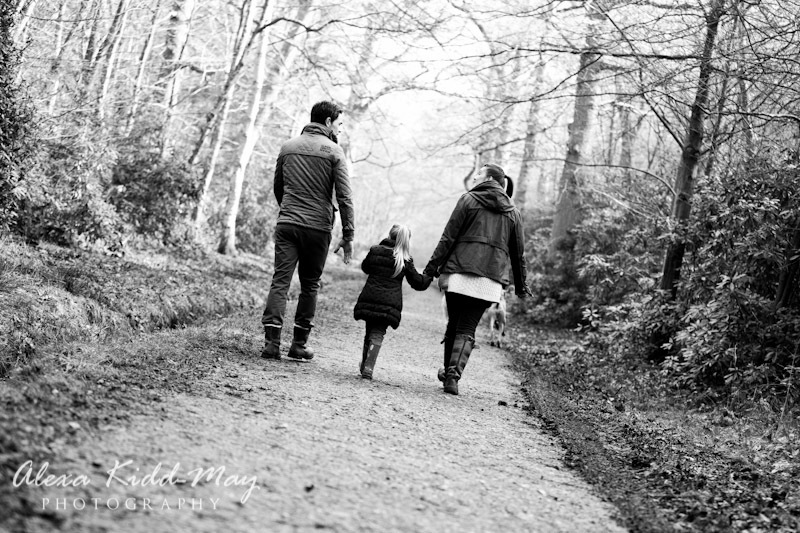 I know the family will look back at this image over the years to come and remember how much they enjoyed their walks together in the stunning Virginia Water. 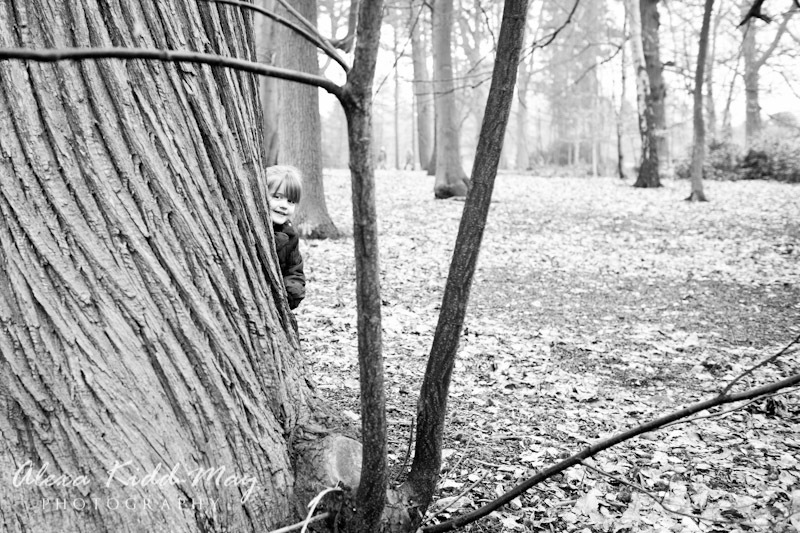 I also really like the images where I had a fun game of hide and seek with their daughter. 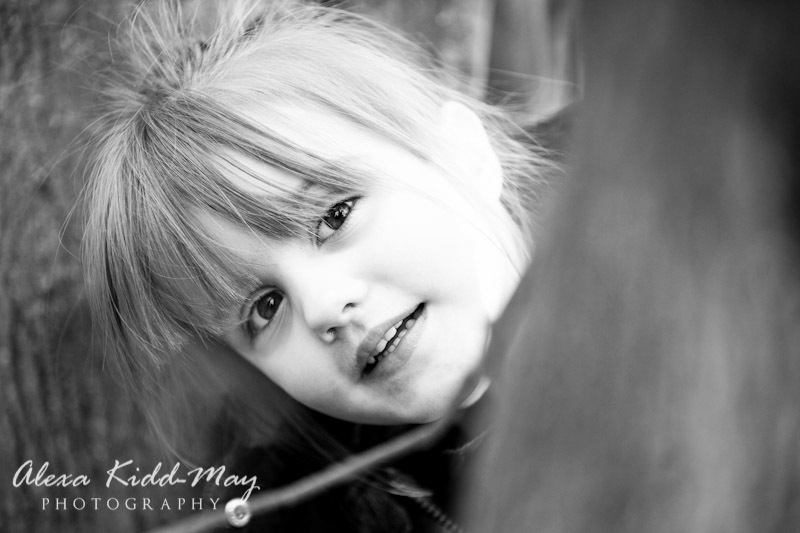 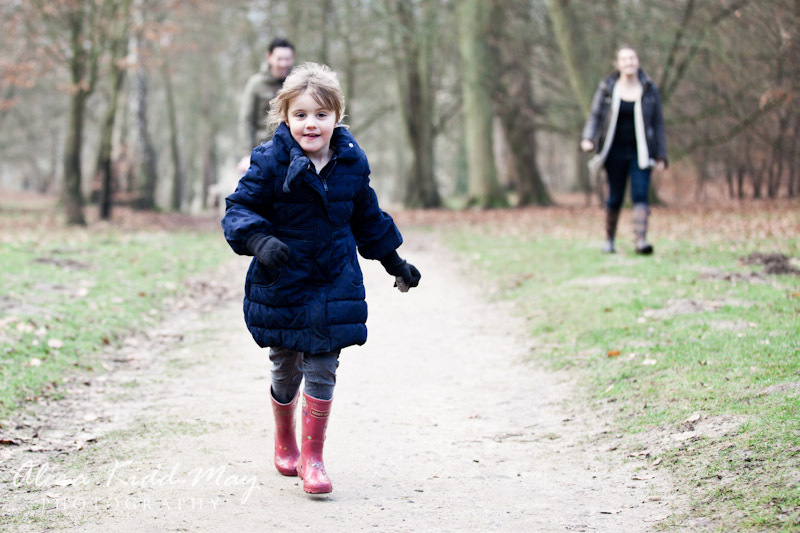 I love to play games with children in family photography sessions as it really brings out their true character and creates such natural images. 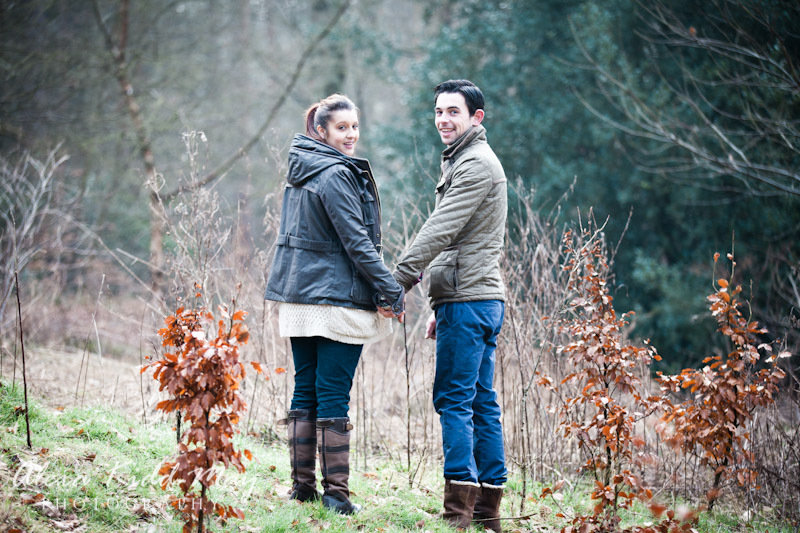 And of course we just had to get some romantic photos of Danielle and Dave together amongst the trees and long grass. 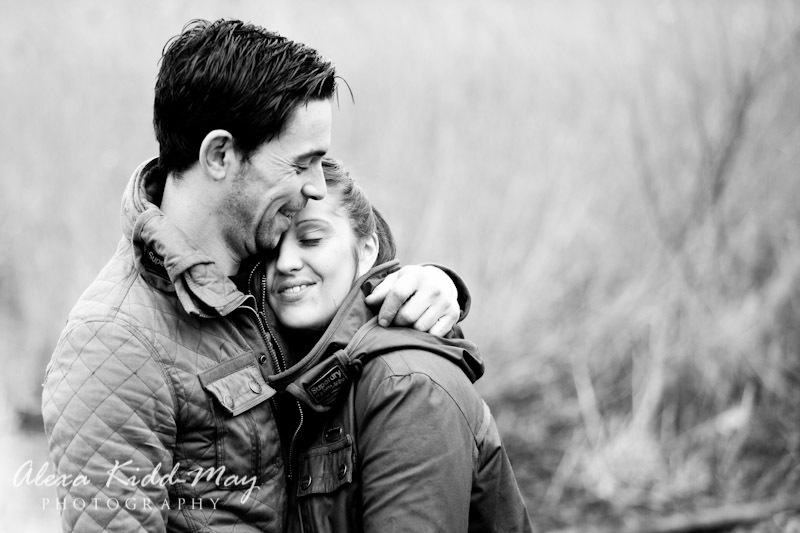 I loved hearing how excited they were about their upcoming wedding. 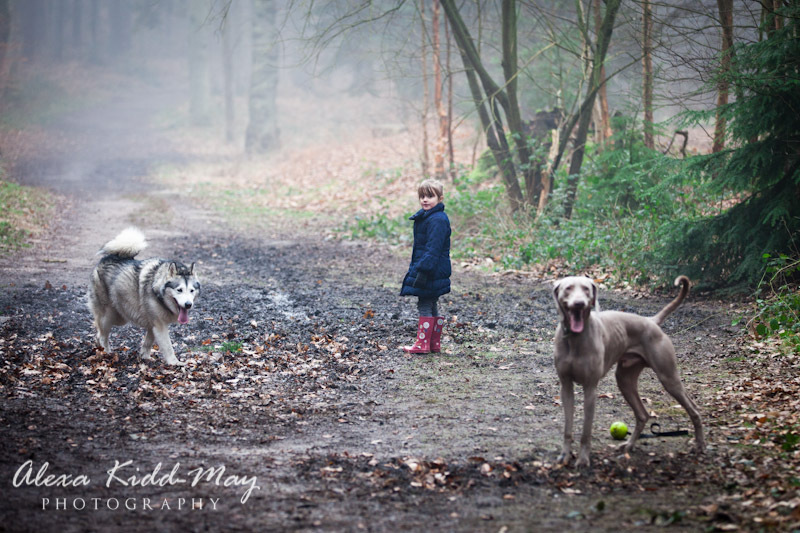 The dogs were full of energy for this wonderful photography session and their daughter was so patient and good humoured. 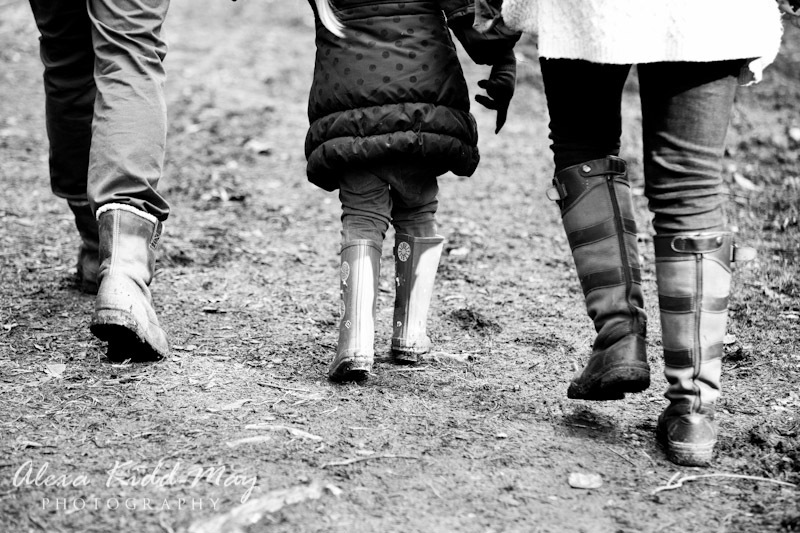 It all made for a really enjoyable morning. 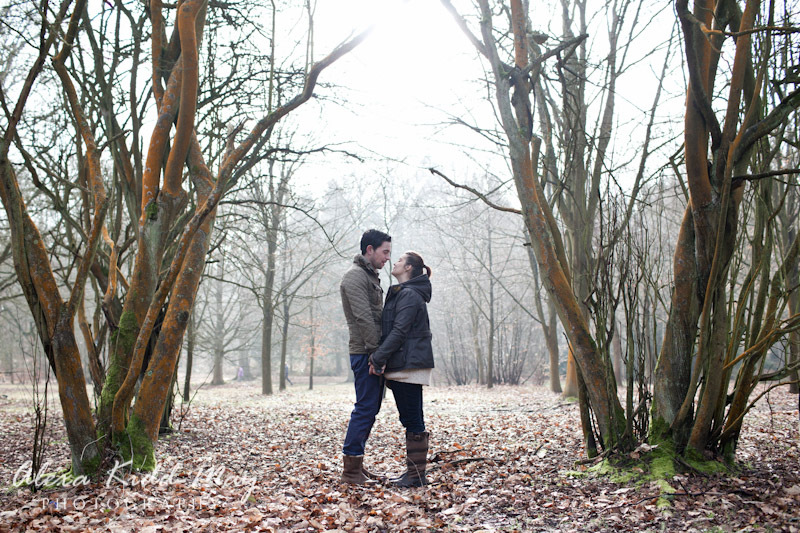 I can’t wait to photograph their wedding at The Talbot in March. 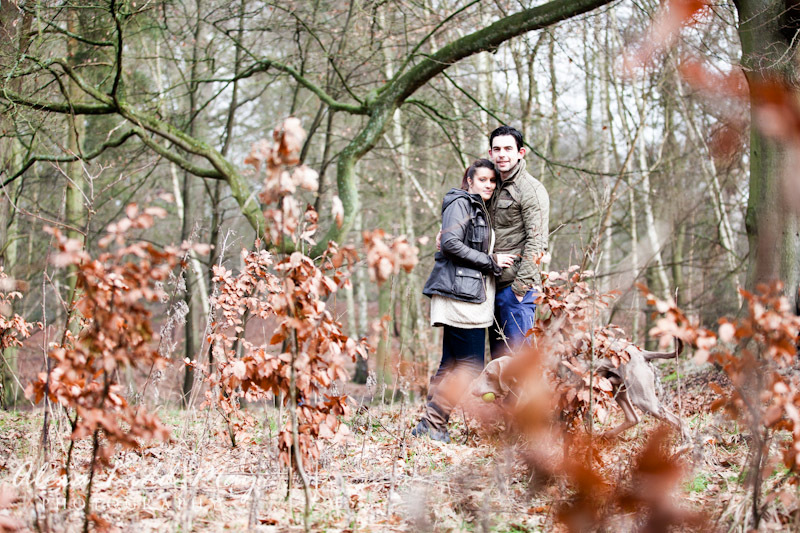 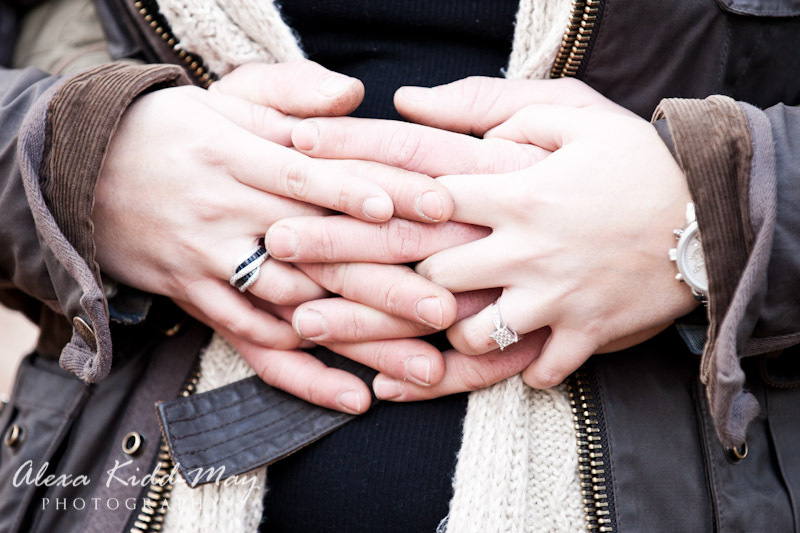 If you’re interested in an engagement photography session please do get in touch. 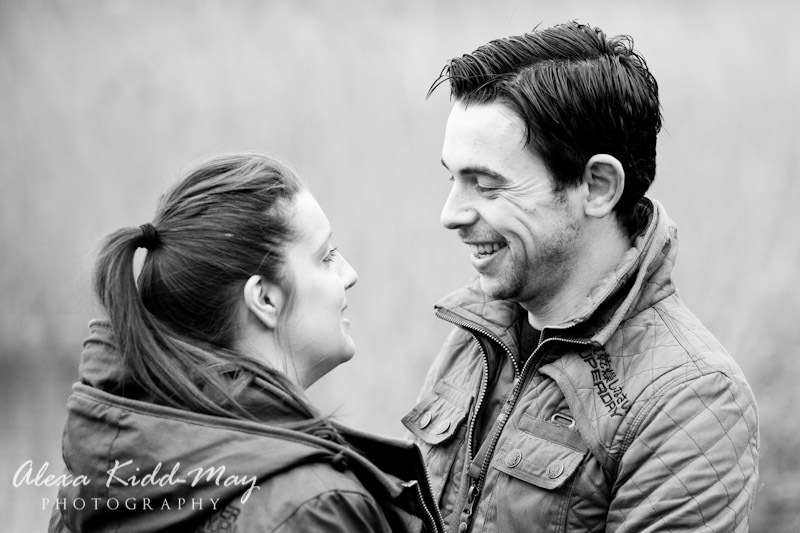 I either offer them as stand alone sessions or as part of my wedding packages. 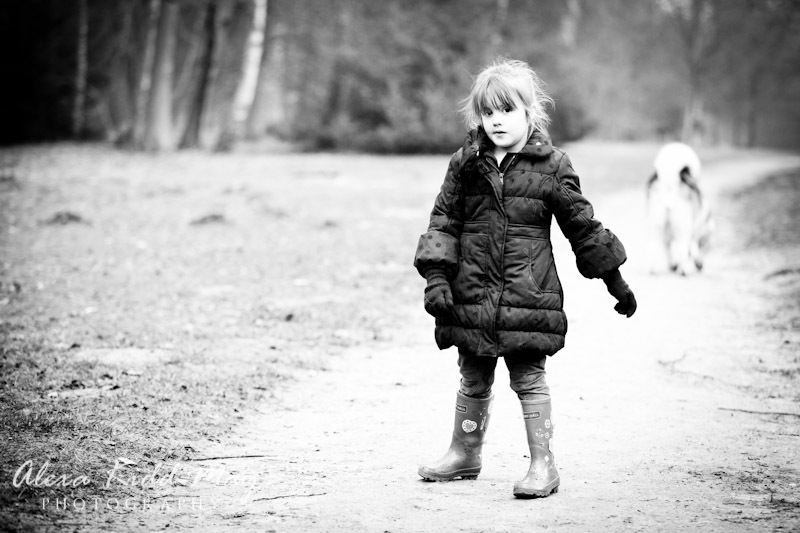 Fantastic set of images Alexa!